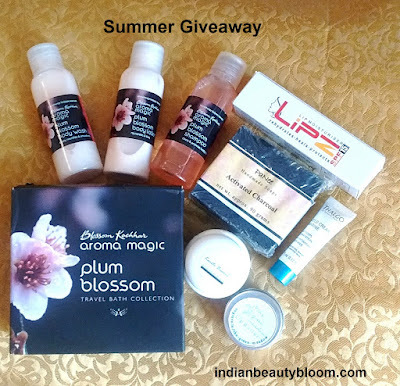 Summer Giveaway at Indian Beauty Bloom . This has 3 products Shampoo , Body Wash , Body Lotion . This is a hand made natural soap . 3. Lipz lip moisturizer from Ethicare Remedies . This is Natural lip butter . 4. Do Email Subscription , Widget given at Right corner of the page . 5. Leave a comment below with your Name , Email ID , City . 6. Giveaway open for Indian Residents Only . 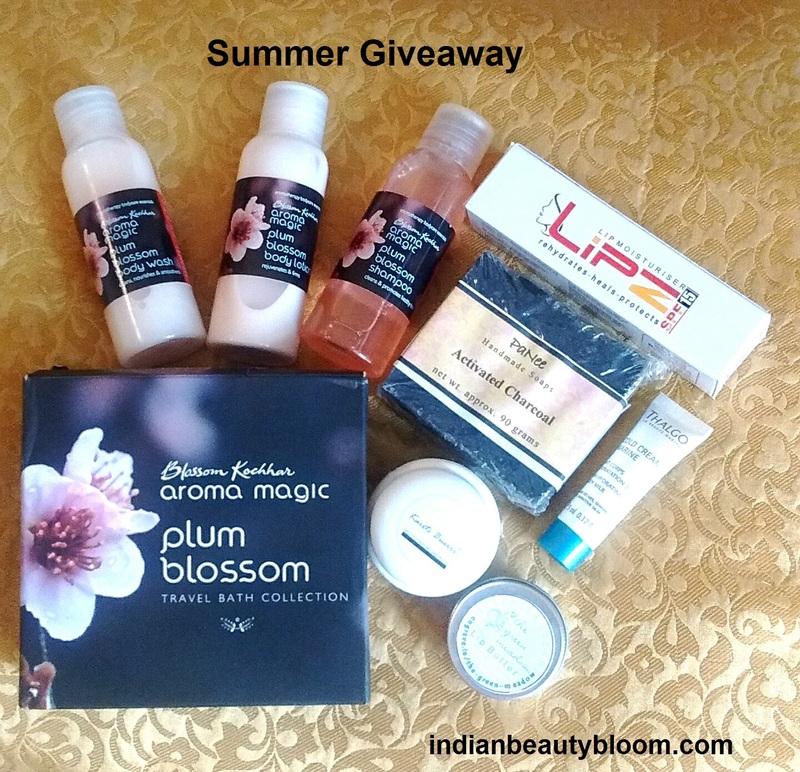 Share this giveaway on your social media sites with #IBBSummerGiveaway and Invite your friends to join the giveaway . This giveaway will run for 2 weeks and winner will be declared after that . Hope to see active participation of my Friends & Readers .